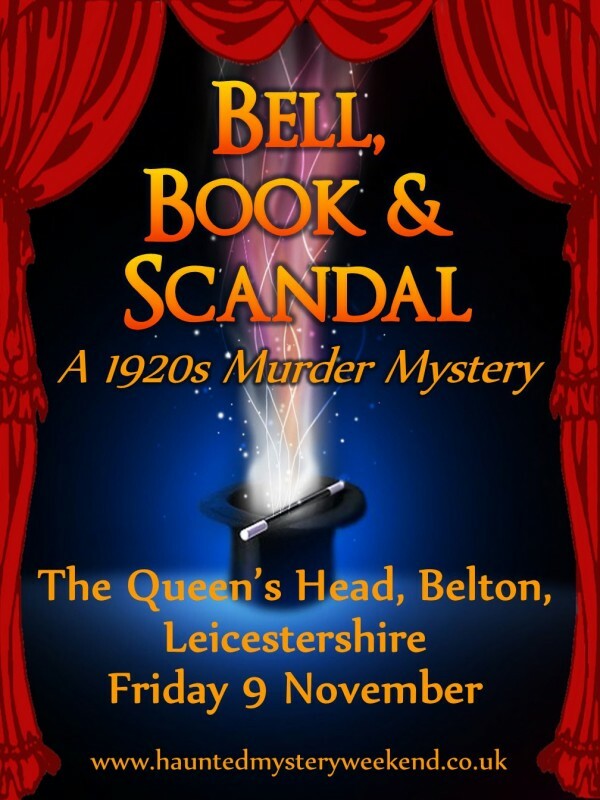 The 1920s magical thriller visits a lovely new Midlands venue. Tickets are £50, to include a champagne cocktail, the murder mystery and three-course dinner. Fancy dress option: Roaring Twenties! To book, just email enquiries@queensheadbelton.co.uk or call 01530 222 359. External Website: More details about Smoke & Mirrors and "Bell, Book & Scandal"